Bestselling chef (A Cook’s Tour, 2001, etc.) 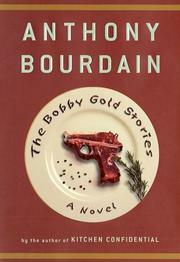 and mystery author Bourdain (Gone Bamboo, 1997, etc.) recounts in 12 swift-moving segments the sad-hearted luck of an ex-con nightclub bouncer. The chef wields his pen with the same murderously winning flair as he does his knives.